Selling your Property couldn’t be simpler! Getting your house ready to put on the market takes some planning. We want to make sure that from the first impression a Buyer gets walking into your house that it presents at its’ best! When you list your house with me, I provide a Professional Stager to come into your house for a free consultation. She will give you tips and ideas on how to present your house to potential buyers. After your house has been staged, I will send in a Professional do a Virtual Tour of your house. Since your first potential buyers are looking at your house on MLS, we want to make sure they like what they see and want to make an appointment to come see it in person! 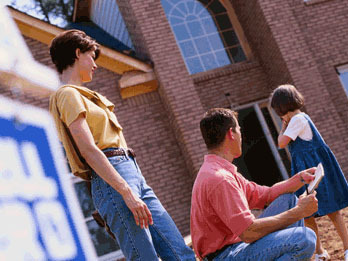 When you hire a Professional Realtor, you should receive Professional Service. That is my commitment to you. Get the answer to the question you have been asking yourself! Do you wonder what your home is worth in this market? Regardless if you are considering selling your home, or simply wish to know how your property is maintaining its value, I would be pleased to offer you a comparative market evaluation of your home. I will carefully examine the particular factors which can influence the present value of your home. I will also assess comparable homes that have sold within a recent timeframe, examine the unique characteristics of your home and location, and consider current market conditions for the Georgian Triangle are. I will then present you with a range of approximate value for your property. Any information you share will be strictly private and confidential, and I will provide this service to you at no cost and with no obligation. Simply provide me with your contact information and I will contact you to set up an appointment at your convenience.